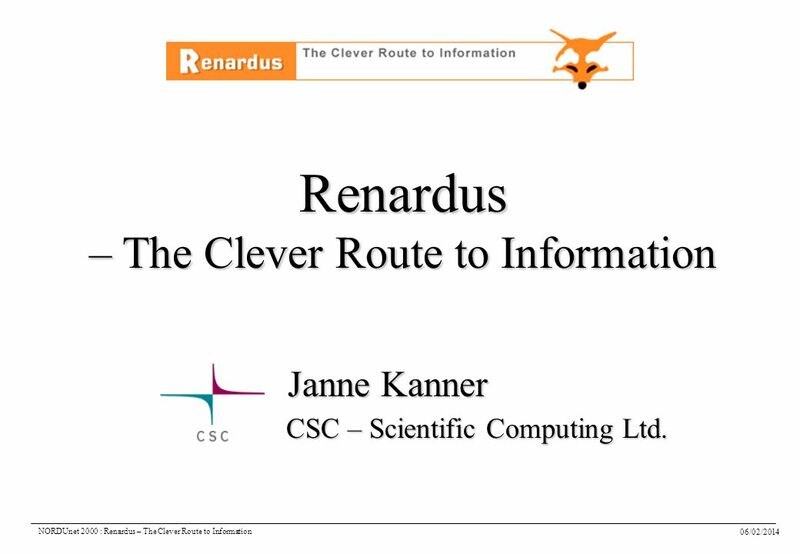 06/02/2014 NORDUnet 2000 : Renardus – The Clever Route to Information Renardus – The Clever Route to Information Janne Kanner CSC – Scientific Computing. 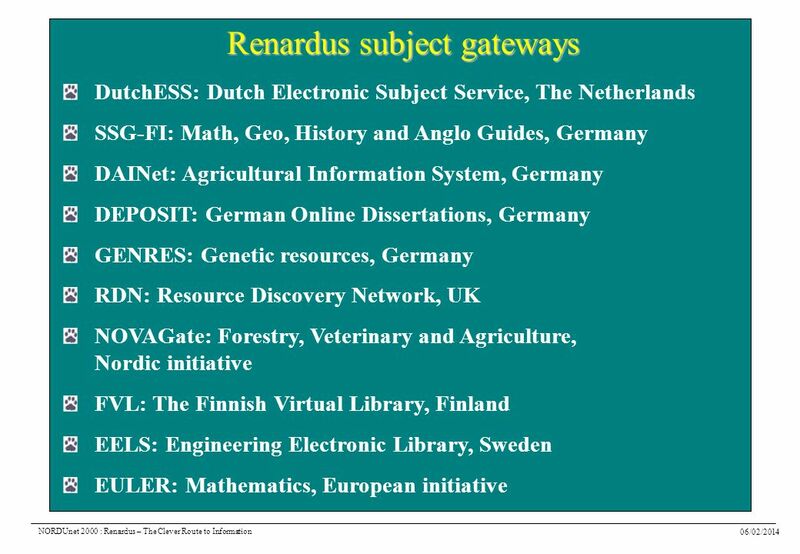 1 06/02/2014 NORDUnet 2000 : Renardus – The Clever Route to Information Renardus – The Clever Route to Information Janne Kanner CSC – Scientific Computing Ltd. CSC – Scientific Computing Ltd.
Download ppt "06/02/2014 NORDUnet 2000 : Renardus – The Clever Route to Information Renardus – The Clever Route to Information Janne Kanner CSC – Scientific Computing." Ute Schwens, Die Deutsche Bibliothek, IFLA Sattelite Meeting Information Technology and DCMI, Goettingen 12/08/03, 1/19 Ute Schwens, Die Deutsche Bibliothek. Israel, 10th and 11th of December 2003 Italy Israel Bi-national Seminar on Digital Access to Scientific and Cultural Heritage Antonella Fresa MINERVA Technical. Parma, 21st November 2003Minerva European Conference : Quality for cultural Web sites Quality Framework and Guidelines for Cultural Web Sites Isabelle. 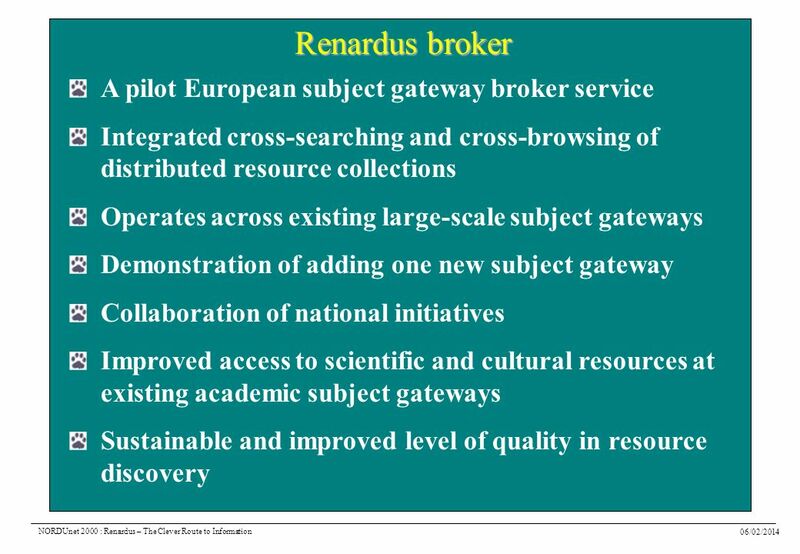 MINERVA Project: Improving the production of digital cultural heritage in Europe Rossella CaffoParis, 12th September 2003 Ministerial NEtwoRk for Valorising. 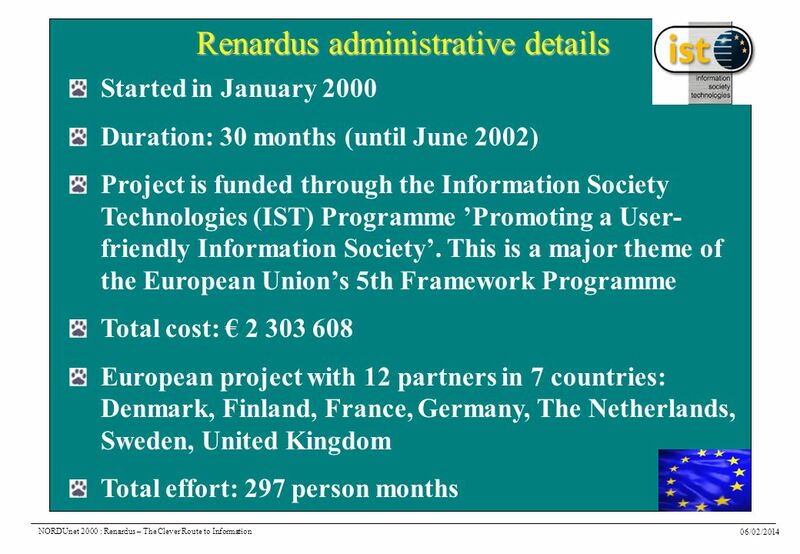 Torun, 3 and 4 February 2003 The MINERVA Project Antonella Fresa – Technical Co-ordinator Ministerial NEtwoRk for Valorising Activising. 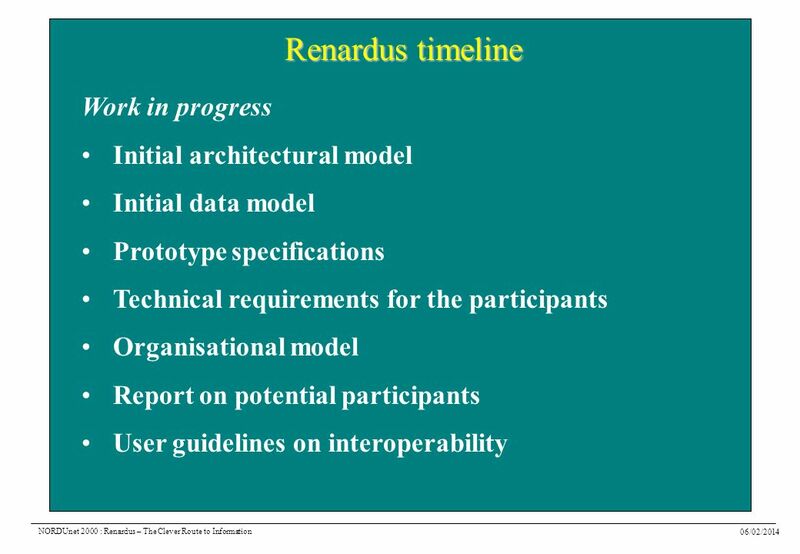 OAF Workshop, May 13-14, 2002, Pisa.CYCLADES IST CYCLADES An Open Collaborative Virtual Archive Environment Umberto Straccia. 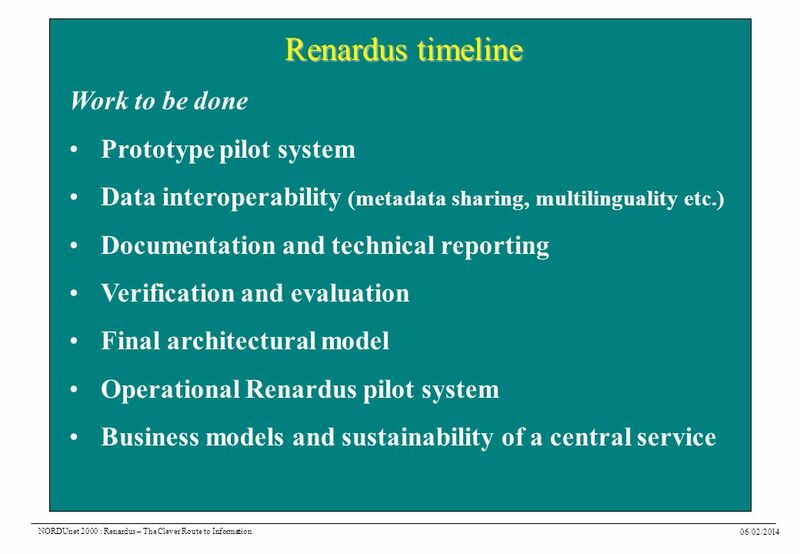 RELAIS CULTURE EUROPE1 Open Archives Initiative Protocol for Metadata Harvesting Opportunities for collaboration Muriel Foulonneau Advisor Information. 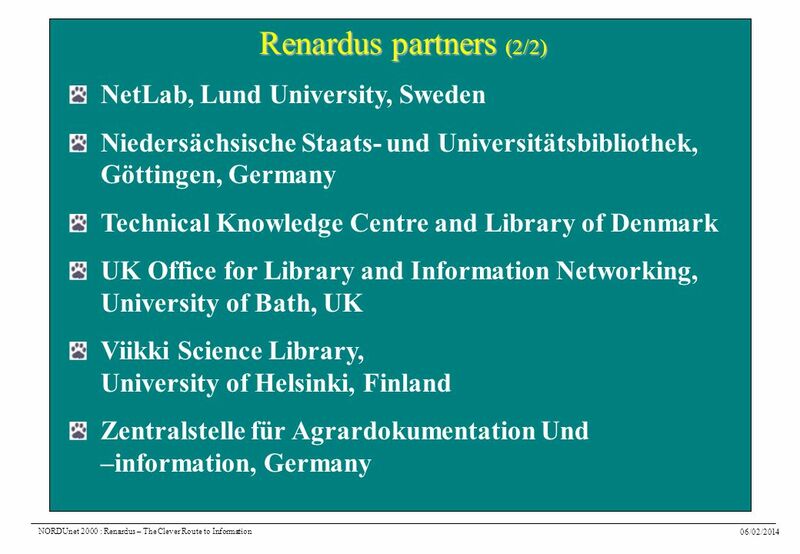 OAF - Workshop, Lisbon, Dec Open Access to Libraries MALVINE and LEAF. 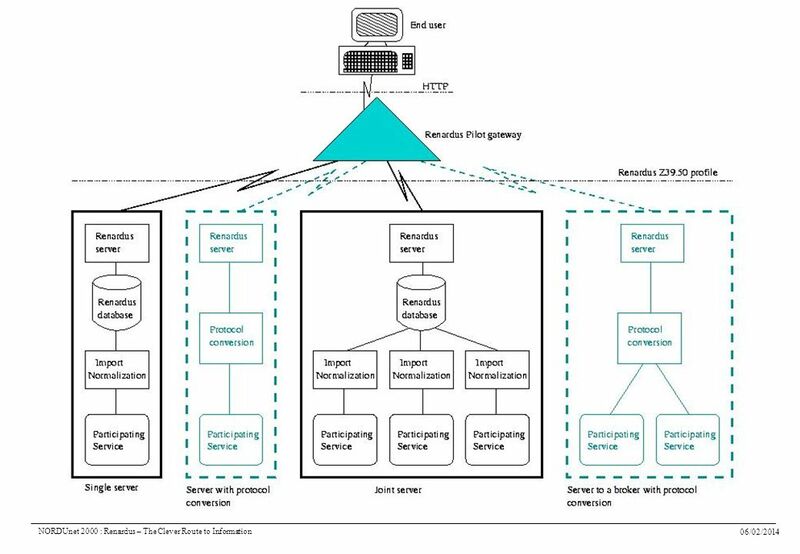 Perspectives of the Open Archives Initiative Protocol for Metadata Harvesting. 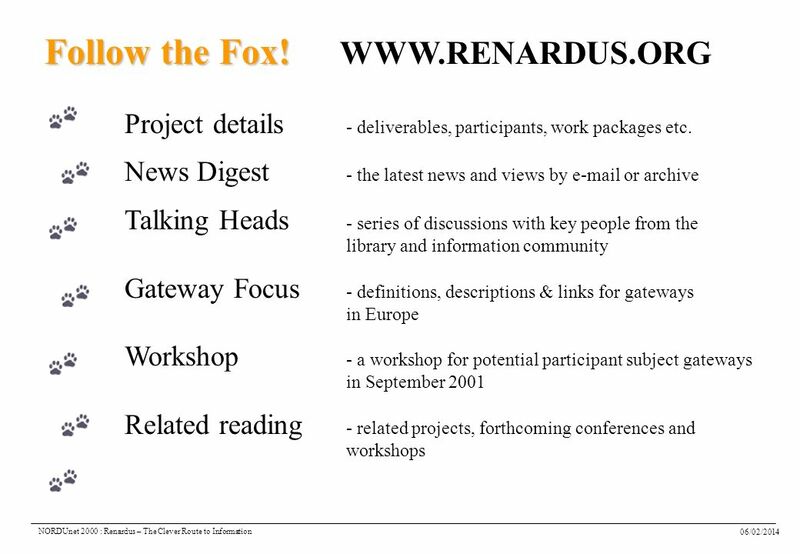 Open Archive Forum ECDL2001, (c) Susanne Dobratz, Humboldt-University1 European Support for Open Archives Susanne Dobratz Humboldt-University. 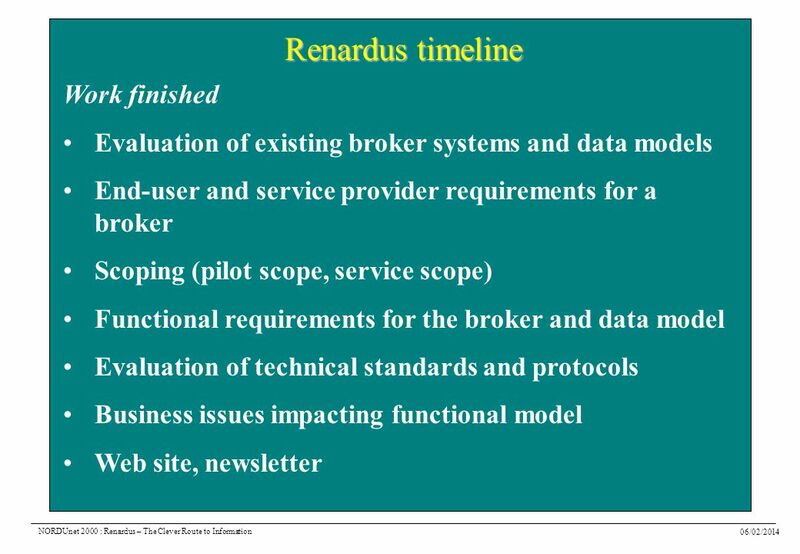 OA-Forum 1 st Workshop: Summing up & way forward Leona Carpenter (UKOLN) with Donatella Castelli (IEI-CNR) & Susanne Dobratz (HUB) Open Archives Forum. Getting Involved in OLAC Steven Bird University of Pennsylvania LREC Symposium: The Open Language Archives Community 29 May 2002. Treasury Board of Canada Secretariat Secrétariat du Conseil du Trésor du Canada IM Standards for E-government The Canadian Experience Managing Information. 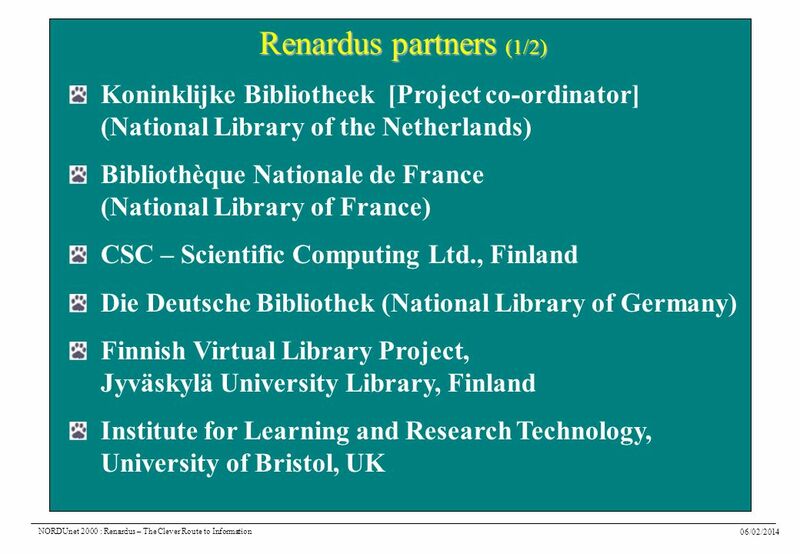 DRIVER Step One towards a Pan-European Digital Repository Infrastructure Norbert Lossau Bielefeld University, Germany Scientific coordinator of the Project. 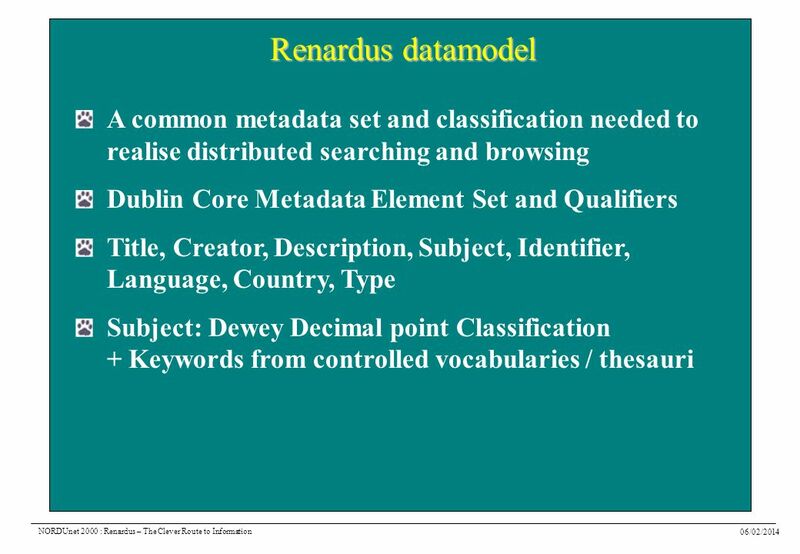 Cross-browsing subject gateways with the Dewey Decimal Classification in the Renardus Service Michael Day UKOLN, University of Bath JISC. 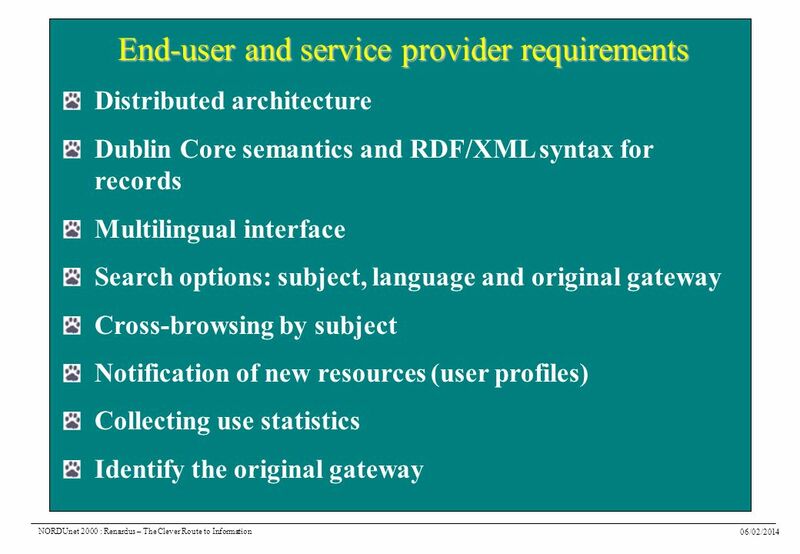 Open Archive Forum ECDL2001, 08.09.2001 (c) Susanne Dobratz, Humboldt-University1 European Support for Open Archives Susanne Dobratz Humboldt-University.